I am a casual beachcomber. 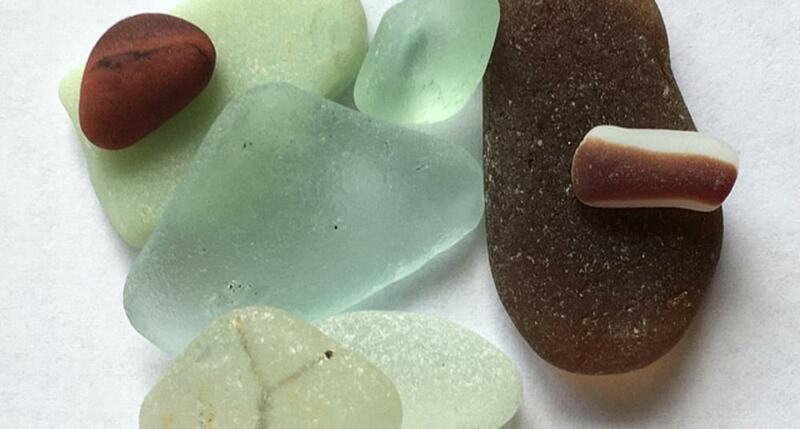 My goal has never been to find the most exotic shell or colorful piece of sea glass. Nor do I plan vacations around beaches famous for shells, artifacts, or fossils. However, if there is a beach nearby (and during my lifetime, that has been often), I go there for a stroll at least once a week to “treasure” hunt. If an interesting shape or special color catches my eye, I'll pick it up and, if deemed worthy, stuff it happily into my pocket. The most precious of these mementos now rest on window sills, mantles,and bookshelves throughout my home. Whenever I come upon one, memories flood in of a particular day on that particular beach. These memories open me like a book, flipping the pages of my life back to the mood and temper of those times, and I can recall the life lessons I learned while walking on that beach. Like the special treasures I tucked into my pockets, so I tucked these life lessons into my heart, and they have guided me through many of life’s rocky shoals. I believe there’s no more wonderful world than the one waiting for me out there by the sea. An hour of beachcombing, of strolling through the silky sand with the sun at my back and the endless blue horizon melting before me, calms my mind as it works my body. I always return home the better for it, with lungs full of fresh air and pockets full of interesting things. Beachcombing magic eases me through heartache, leads me to patience, and transforms my sometimes tense little life into one of beauty and hope and joy again. Sometimes, it even reminds me that the best things in life are often right there before me in the sand. Take a stroll down the beach with Dr. Beachcomb as she offers up treasures for the pocket, the spirit & the soul. Fascinating history and science facts. Awarded the 2009 Independent Publishers gold medal, an (Eric Hoffer) honorable mention for Most Inspirational/Best Self-Help Book, & shortlisted for (the da Vinci Eye Medal) Cover of the Year. 34 full color photos of sea glass, fossils, shells, ceramic shards, driftwood, fishing floats and more. 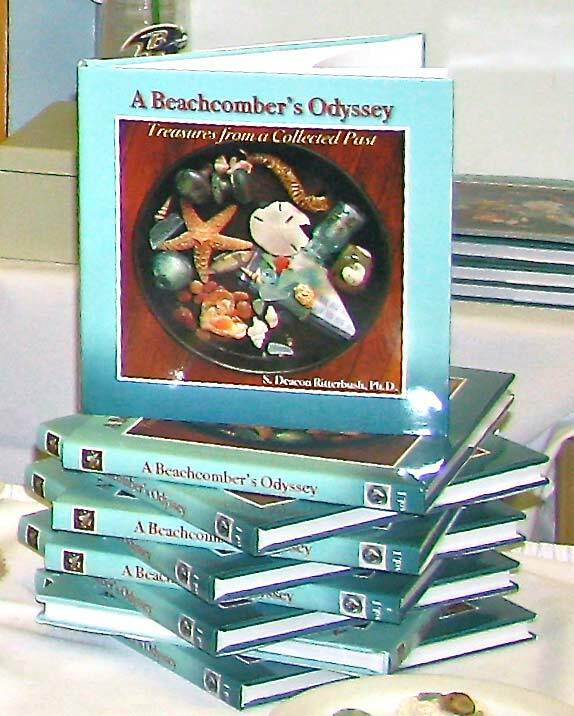 A Beachcomber's Odyssey is a natural prescription for happiness in any season at the shore. The perfect beach read, bedside companion, hostess gift or coffee table book. Re-Awaken your sense of wonder in nature & in your own life's journey.